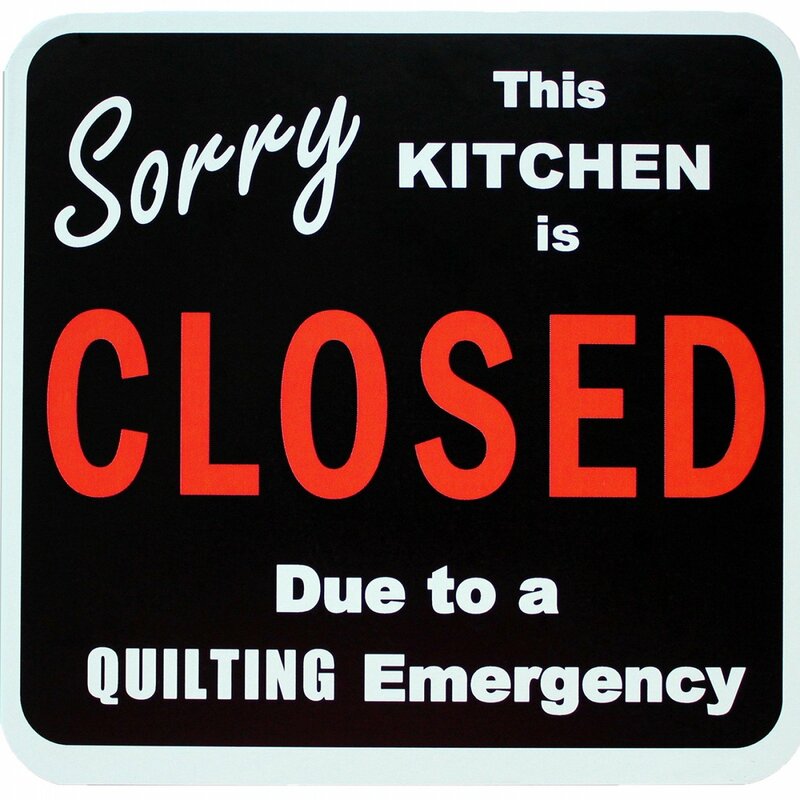 Sorry this Kitchen is CLOSED is a 5-1/4in x 5-1/4in flexible magnet with rounded corners. This is the perfect notification to attach to any magnetic surface when your quilting project trumps dinner! Let the family fend for themselves or, better yet, let them cook for YOU!!! Note: not all refrigerators have a magnetic surface.